I've started another baby quilt. No, I haven't finished the elephant one yet but luckily for all of us, it's not a requirement to finish one project before starting the next. I'm pretty tickled with these little boats. 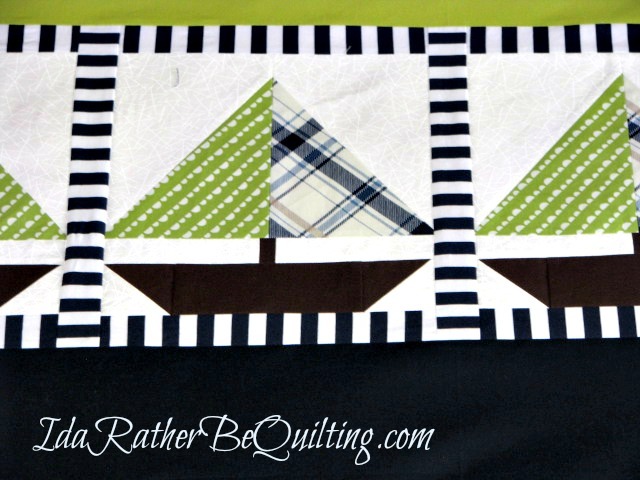 They are a modification of a sailboat block tutorial found at Sunset Family Living. Not very baby-ish but I think it goes well with the theme. This is actually a piece of fabric I purchased in Turkey. You can read about my fabric shopping trip and even see this piece in this post. I've got this one all sandwiched up and ready to go. I'm thinking of quilting the wavy lines pattern I used on this Little Guppy baby quilt because it turned out looking like water. No ideas yet on how I will quilt the rest of it. I have until July 11th but I'm hoping to start on it soon so I won't feel rushed. I love this as a baby quilt. It's very modern and it'a a quilt that would look in the child's room at any age. Great job. 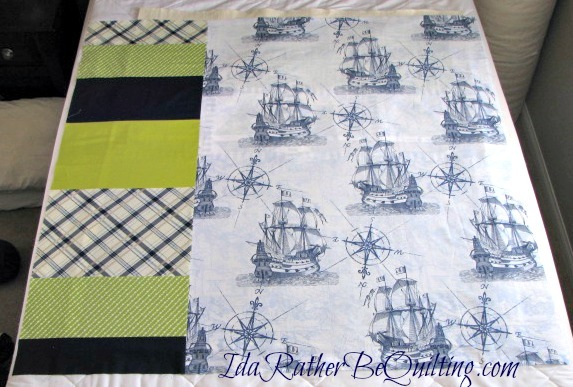 I think this is a sweet baby quilt and I love the sailing print on the back! 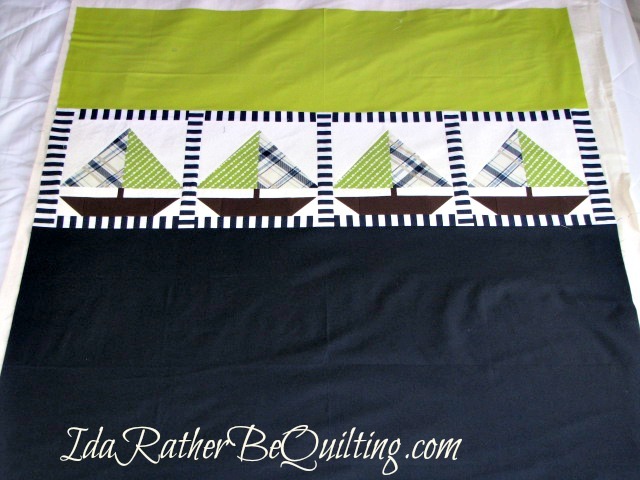 I really like the colour combination and the lovely pieced sailboats alongside the solids. I've been asked to make a baby quilt and my draft designs have been far too complicated - your quilt is a good lesson in 'simple and effective'. Any baby quilt is fun, but I really like baby quilts that aren't babyish because they can be used for a long time. I'm looking forward to seeing yours with the quilting added. It think it will really be striking on those solid fabrics. 'Set Sail' Nautical Baby Quilt - Finished!